This 2 Bed First Line Penthouse For Sale in Calpe has the most spectacular views of not just the sea but the beautiful Salt lake in Calpe and the surrounding mountains, so not only do you fall onto the beach when you step out of this apartment but you have a very large 182m2 sun terrace where you can sit and relax and absorb the beautiful surrounding views. From the nicely presented lounge the patio doors lead off to the terrace, there are 2 good sized bedrooms with fitted wardrobes and 1 of which is en-suite and a separate bathroom, there is also a nice modern fitted kitchen with a new boiler installed less than 12 months ago. Included on the terrace is a secure storeroom where you can store sun beds, outdoor dining furniture and bikes. Another bonus to this property is its being sold fully furnished and wifi is within the building, adding to this there is also a nice communal swimming pool area and a private garage, which is included in the price. This apartment is on the 7th floor with a lift. There is pre-air conditioning which would need to be installed if required. This apartment would do very well as a family home and would also make an excellent holiday rental due to its prime location and spectacular views. 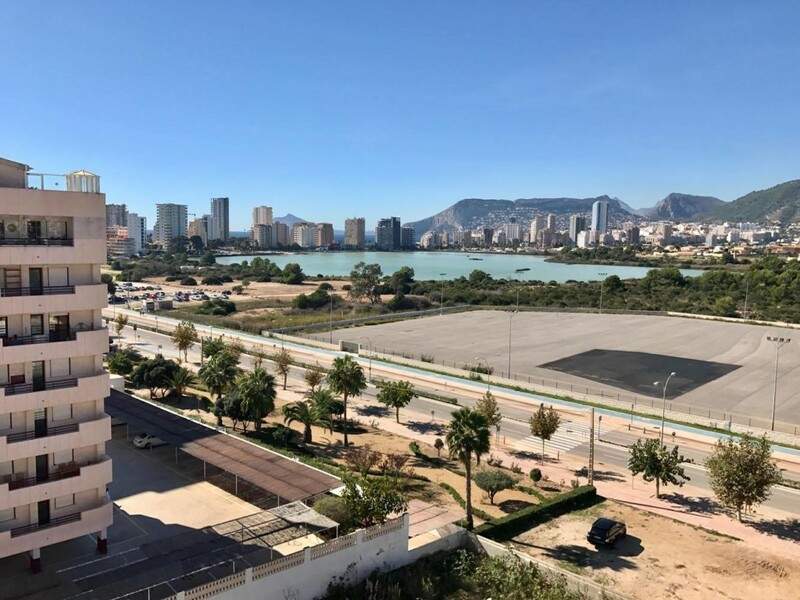 However a viewing is a must to obtain the full potential of what this wonderful Penthouse Apartment has to offer and with these views this property won’t be around for very long.